This card came together easily and I think that was because I liked the pretty colours in this Inspiration pic, so tried to use them on my card too. The details that I quite like are the stamped daisy’s on the base card and the pink stencil work in the background. 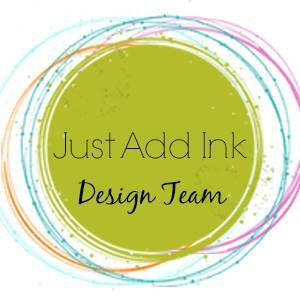 Please follow this link to Just Add Ink to join in this Challenge with us. Happy Stamping! Previous postJust Add Ink Challenge # 429 – Vellum! Next postJust Add Ink # 434 – Big Bold Sentiment!